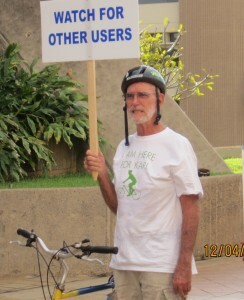 As much as a horrid situation of this nature can terminate, at least the legal portion of it did , as Judge Bissen imposed a ten year sentence on one charge (actually a single 10 year sentence and multiple five year ones, which are to served concurrently) for the man who plead guilty to running down Karl Hagen last year on the Pi’ilani Highway. 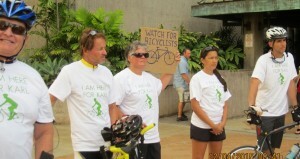 The Maui Bicycle League, http://mauibicyclingleague.org/ , in cooperation with the Hagen family, arranged a bicycle ride to the courthouse to commemorate the event and to promote pedestrian and bicycle safety. WAILUKU – Before his pickup truck went into a bike lane to cause a collision that killed a bicyclist last year, a Kula man’s Facebook post described how he had celebrated by drinking and driving when he got his license back after a drunken-driving conviction. Nine months after the crash that killed 61-year-old Wailea resident Karl Hagen, defendant Michael Cattaneo was arrested again when he was found with a methamphetamine pipe and drugs in his system, a deputy prosecutor said. On Friday, Cattaneo, 29, was sentenced to prison terms totaling 15 years for the fatal crash and for drug possession. 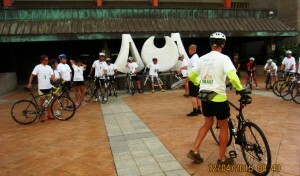 About 30 bike riders honor fallen cyclist Karl Hagen, 61, with a ride from Maalaea to Wailuku on Friday morning prior to the sentencing of the man who struck the bicyclist with his truck in April 2014. “Whether it was Mr. Hagen or someone who didn’t have the friends and family he has, the loss would be the same,” Bissen said. “There’s nothing the court can do that would change the circumstances. Cattaneo had pleaded no contest to first-degree negligent homicide for the crash at 1:12 p.m. April 12, 2014, on Piilani Highway north of Kanani Road. Police said Cattaneo was driving a black 1992 Ford Ranger pickup truck that was heading north on the highway when the truck drifted into the bicycle lane and struck Hagen, who was also traveling north. Robin Hagen said her husband was “my best friend and the love of my life.” He was killed just short of their 26th wedding anniversary, also leaving their daughters, Ariel and Michaela. “I hope he can see I live each day in a way that can make him proud,” she said. 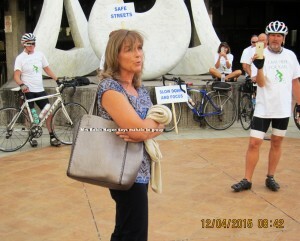 Hagen also was an avid bicyclist who advocated for designated riding areas and the use of safety gear including lights and helmets, daughter Michaela said. “He was alive, so healthy, so happy,” Robin Hagen said. “He enjoyed his friends, loved his family. And he was looking forward to many more years of happiness. Cattaneo also had pleaded no contest to third-degree promotion of a dangerous drug and possessing drug paraphernalia for his arrest Dec. 27. He was riding his dirt bike when police found him with a methamphetamine pipe, as well as methamphetamine, marijuana and oxycodone in his system, Glen said. Hudson said Cattaneo had been “self-medicating” to avoid coping with what happened in the crash. While he may have been in denial about his substance abuse issues then, now “he’s been actively seeking treatment,” she said. While he asked to be sentenced to probation and an 18-month jail term with early release into a residential drug treatment program, the prosecution sought the maximum 10-year prison term it could request under the plea agreement. Glen said Cattaneo was convicted of DUI in 2007 for a 2006 arrest. Glen read posts on Cattaneo’s Facebook page, including one from April 2, 2012. “Would’nt u have a beer on ur drive home from working hard? I just got my lisence back after DUI!!! I have to celebrate!! !” the post said. In sentencing the defendant to consecutive prison terms totaling 15 years in the two cases, Bissen said Cattaneo didn’t wake up the morning of the crash intending to hurt or kill someone. After being cited for leash-law violations, Cattaneo talked about what he wanted to do to neighbors who had called police, Bissen said. He said that if Cattaneo wants, he could seek drug treatment in prison or after he is paroled. In both the negligent homicide and drug cases, charges of driving under the influence of an intoxicant and not having insurance were dismissed in exchange for Cattaneo’s pleas. He was ordered to pay $11,557 in restitution. She thanked the judge, prosecutor’s office and those who showed up in court Friday. “We have awesome support from our family and friends and the cycling community,” she said. Cattaneo was convicted of operating a vehicle negligently to cause the death of a vulnerable user, which includes bicyclists and pedestrians. 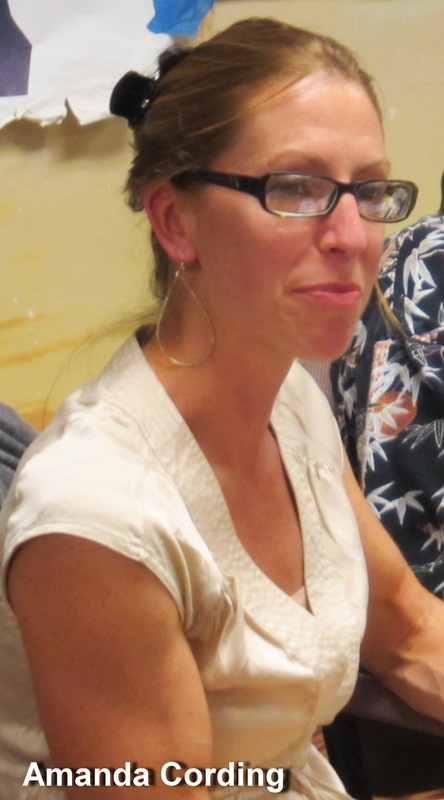 PreviousSO WHAT HAPPENED AT THE COUNCIL’S WATER RESOURCES MEETING WED. MORNING? 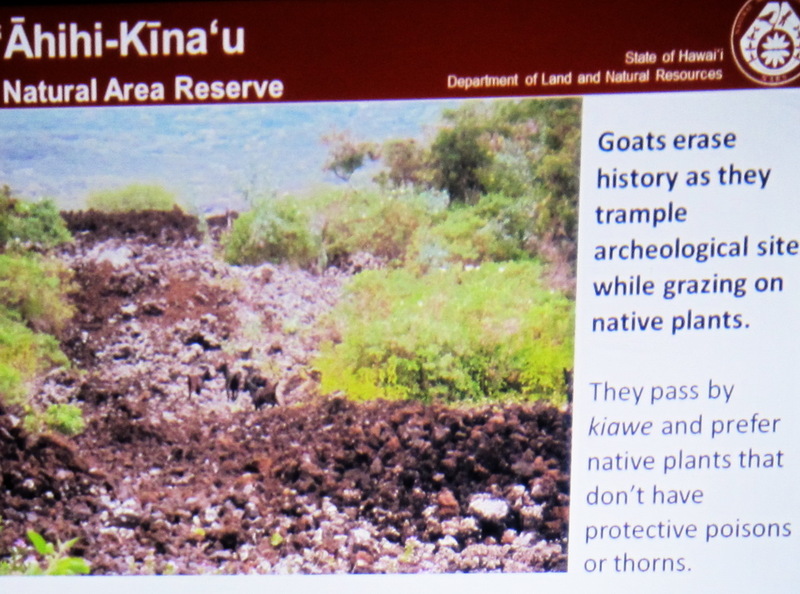 What is Happening at Ahihi Kina’u National Preserve ?